OMNI BC has lots of chances for you to win great prizes! Check out what we are giving away this week April 8-12 and be sure to come back for updates! All week long, Focus Cantonese wants to give you a chance to win tickets to a movie. Watch Focus Cantonese weeknights @ 8:30pm and call 604.678.3922 or email contests@omnibc.ca for your chance to win. All week long, Focus Mandarin wants to give you a chance to win tickets to a movie. Watch Focus Mandarin weeknights @ 9:30pm and call 604.678.3922 or email contests@omnibc.ca for your chance to win. All week long, Focus Punjabi wants to give you a chance to win tickets to a movie. 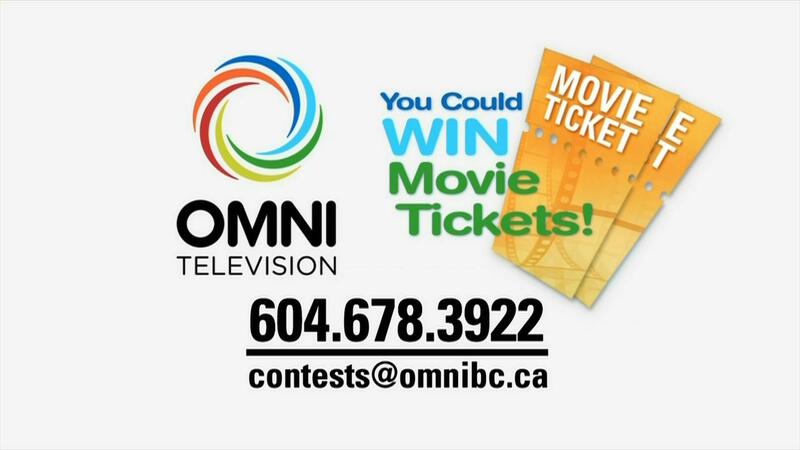 Watch Focus Punjabi weeknights @ 7:30pm and call 604.678.3922 or email contests@omnibc.ca for your chance to win.